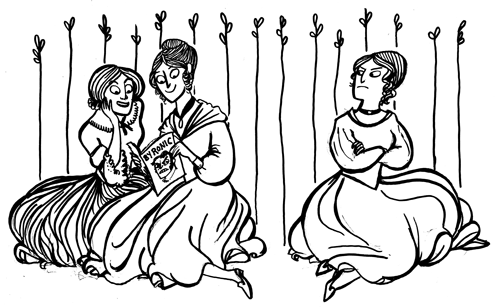 Now I'll have one nice maxi-thread dedicated to posting webcomic updates I enjoyed. Dir Allen, sir, I am intrigued by your idea and wish to subscribe to your newsletter. 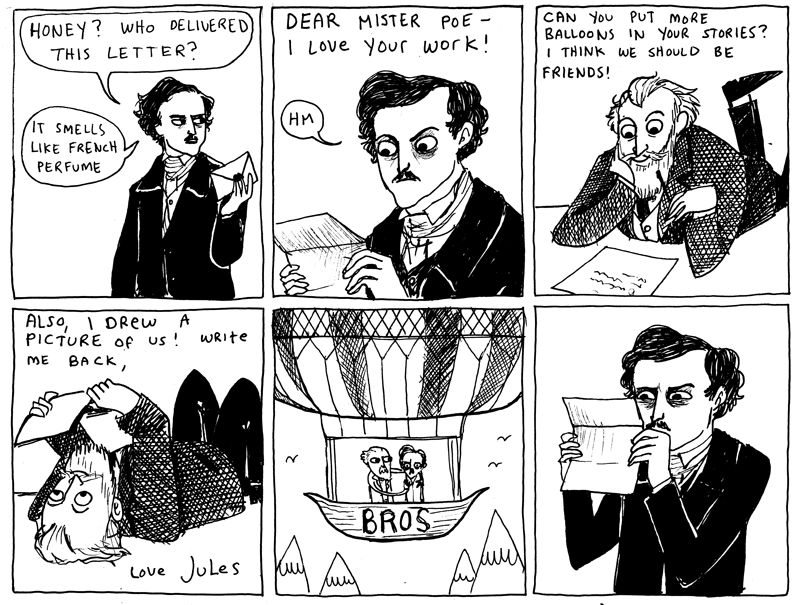 I loled heartily at that GC. 9/2 Hark! 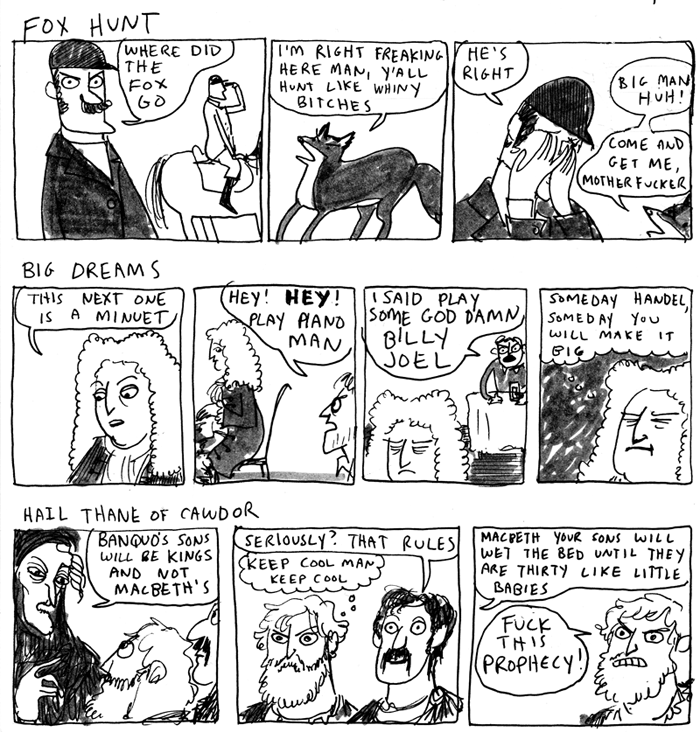 A Vagrant "Do something About It"
I laugh so much whenever Fat Pony sticks out its tongue. 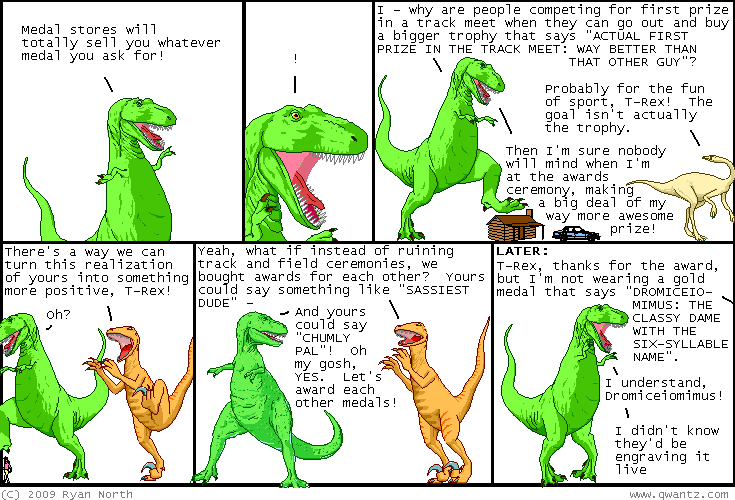 The new XKCD is very funny and going on my wall of Cubicle. 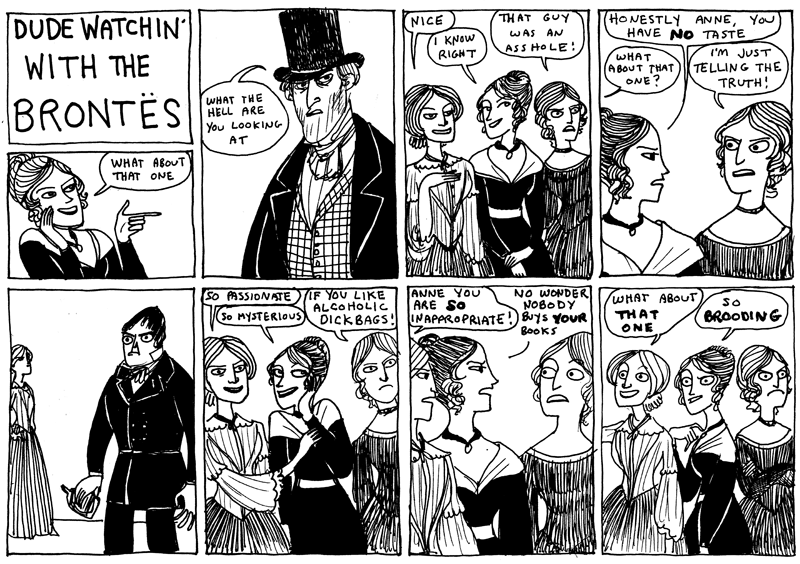 OotS 676 "There's more than one way to fail a listen check"
The Bronte sisters comic got a pretty solid (although flu-stricken) guffaw from me. 9/7 Dresden Codak "The Sleepwalkers"
9/11 Hark! 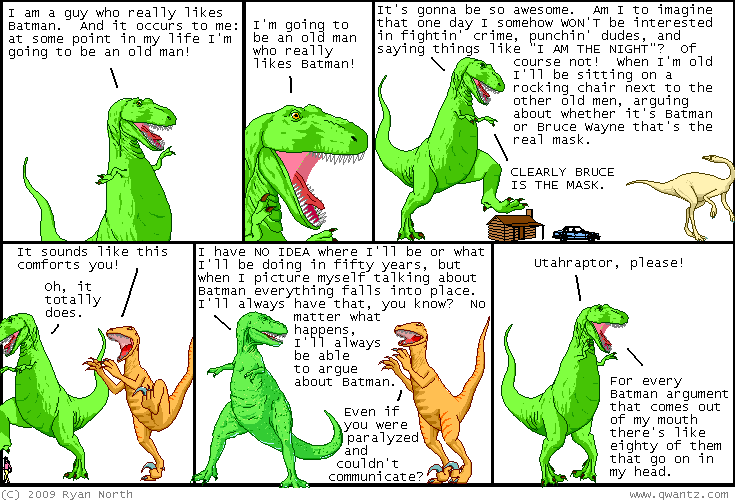 A Vagrant "Comics Get Your Comics Here"
alt text: alternate ending: t-rex and utahraptor realize their "is this all there is?" 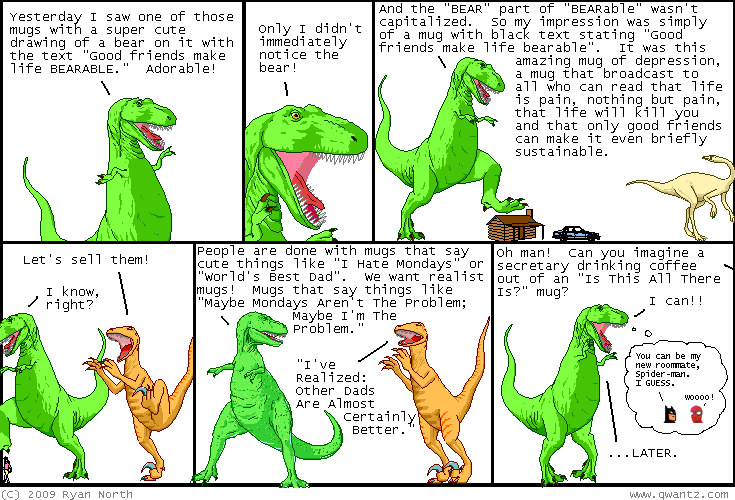 mug would sneak under the office radar if there was, like, a cute cartoon sherlock holmes with a magnifying glass on it. then they/me realized that the "life is unBEARable" people were always one step ahead! 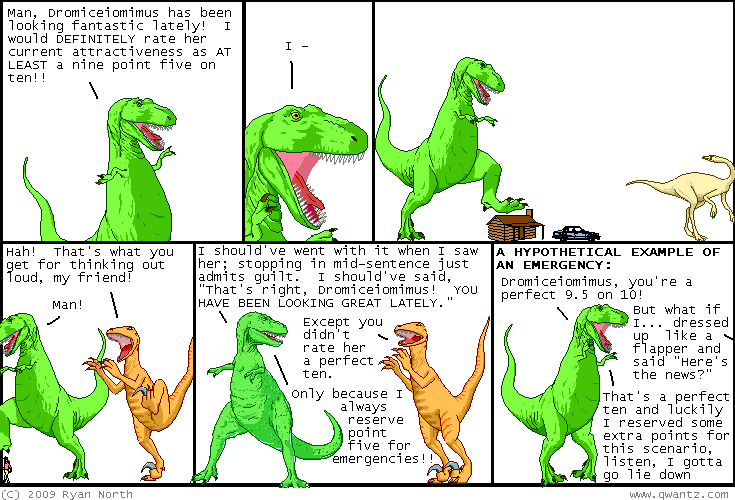 I made a secret bet with myself that today's Dinosaur Comic would make it in here. 9/14 Three Panel Soul "On Labor Day"
didn't find it funny, just interesting. and nice to look at. 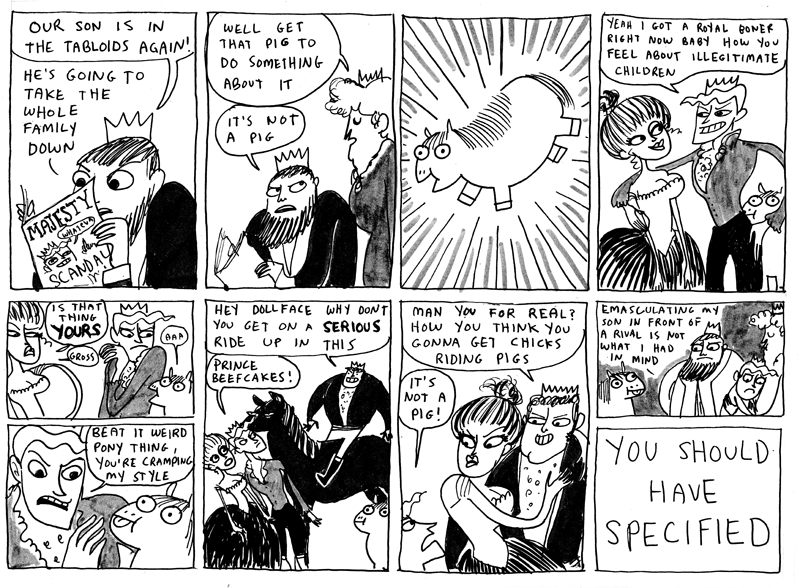 Soooo much deeply manly man love for the Dresden Codak. Shame he decided to cut his Koala Wallop forum ties. He said there is much more discussion on his comic than there in other places, and he had no time for a forum moderation gig. 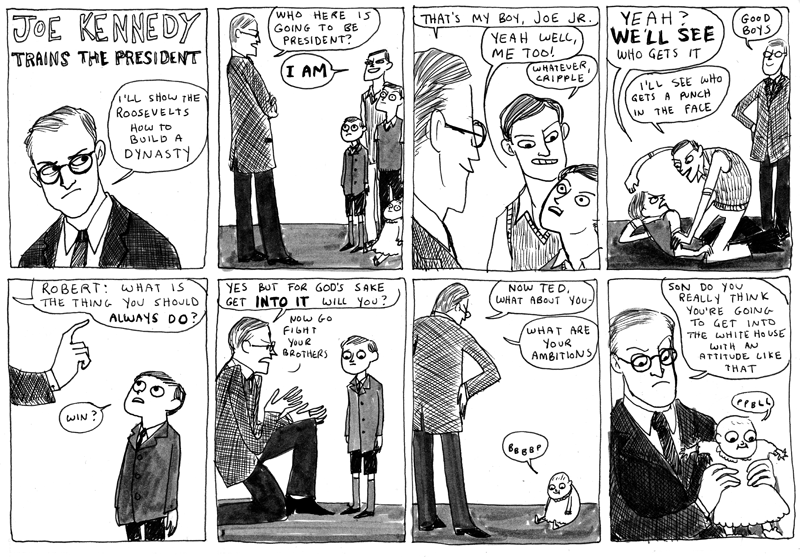 Frankly this comic episode has been making me laugh for days still. alt text: Don't you dare spin your cocoon in my chair, Bartholomew. That's where I'm sitting. Allen, it's like you read my thoughts 1-2 days after I have have them. then did you think you should get back to updating your challenge thread a couple of days ago?